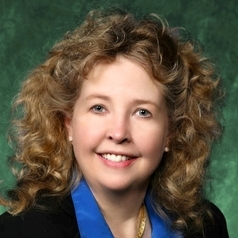 Angela Wilson has a broad background encompassing chemistry, physics, computer science, leadership, professional development, and diversity, and has given several hundred invited talks nationally and internationally on these topics. Her scientific work ranges from quantum mechanics to drug discovery, spanning the entire periodic table of the elements. She has worked in areas such as drug design for different types of anti-inflammatory diseases, catalyst design - the design of molecules to make reactions such as those used in industry occur more quickly, and the design of stronger composite materials, which are important in aircraft design. Her recent work has involved the design of computer methods that can mimic laser pulses, to aid in understanding fast occurring molecular reactions, as well as designing computational methods to describe thermodynamic properties of critical materials that are important in cell phones, cars, and computer displays. She has spoken on topics and provided training to both scientific and non-scientific audiences on topics including leadership, networking, negotiation, diversity and equity, communication, grantsmanship, and non-traditional careers and career pathways for scientists.